For over 50 years people have used Chelation Therapy for many health issues including the removal of heavy metals (such as lead and mercury) and minerals including calcium plaque from the human body, and has also been shown to provide other secondary benefits. Hypertension/Blood Pressure – the exact cause of hypertension or high blood pressure is unknown but there are many conditions that possibly contribute to symptoms of hypertension. Conditions that could contribute to high blood pressure include: stress, lack of exercise, obesity, heavy salt intake, dehydration, excessive drinking, aging, kidney and circulatory problems, and abnormalities in the nervous system. 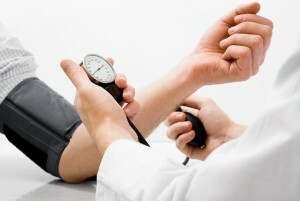 High Blood Pressure can cause angina attacks, strokes, as well as very painful sometimes life ending heart attacks. The heart works harder because of the excess plaque that has built up in the arteries and veins. The need for blood supply is greater to cover all areas of the body. A healthy diet and good regular exercise will strengthen the circulatory system and can build a stronger heart. Increasing blood flow by removing excessive minerals and metals from the body, liquid chelation therapy can assist in relieving hypertension and high blood pressure conditions. It should be noted that Cardio Renew is sodium based so anyone who is sensitive to sodium should monitor their BP while on the course. Cardio Renew truly believe that our liquid oral chelation programs will help with conditions that occur with hypertension. Try our liquid oral chelation program now.